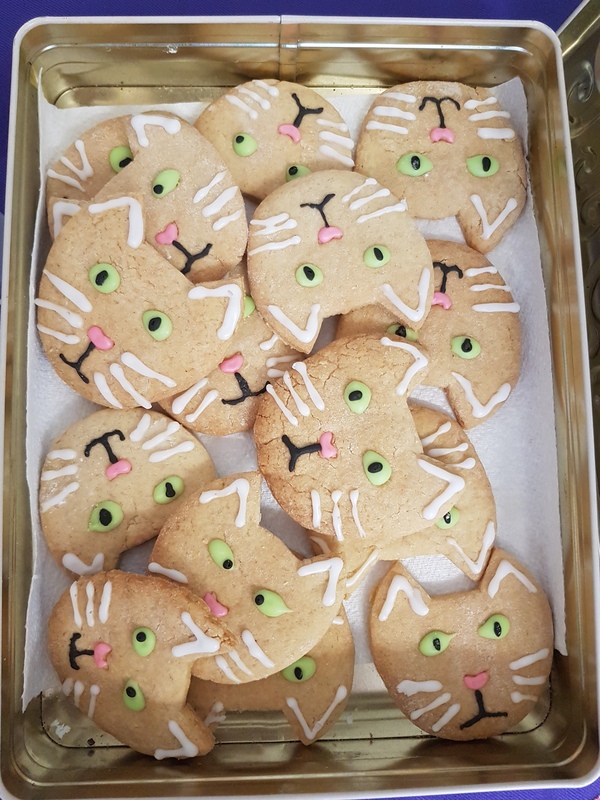 Last weekend Steph from The Bead Shop Nottingham hosted the most pawsome tea party to raise funds for the Cats Protection . There was tea, cake, biscuits and kitty beading patterns! 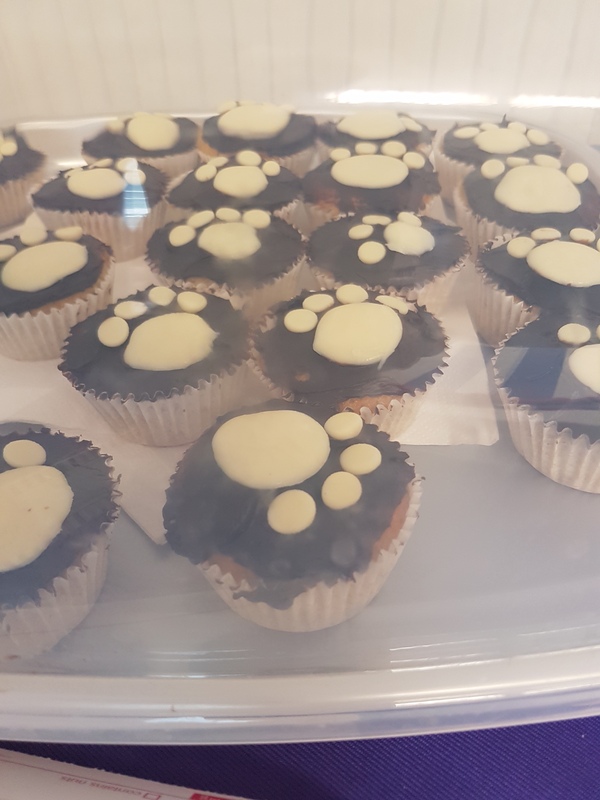 Steph had made some pawsome treats for people to buy. 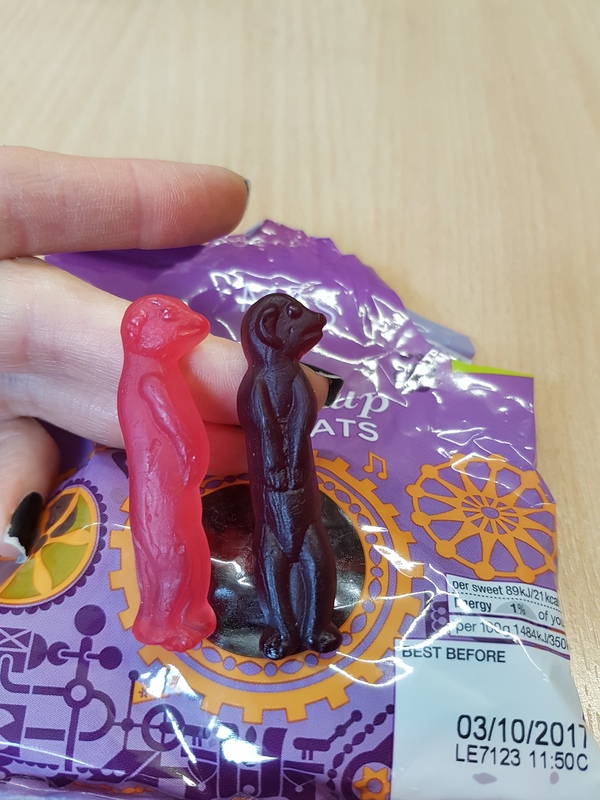 Not being able to eat dairy, I contributed these vegan meerCAT sweets to the cause! 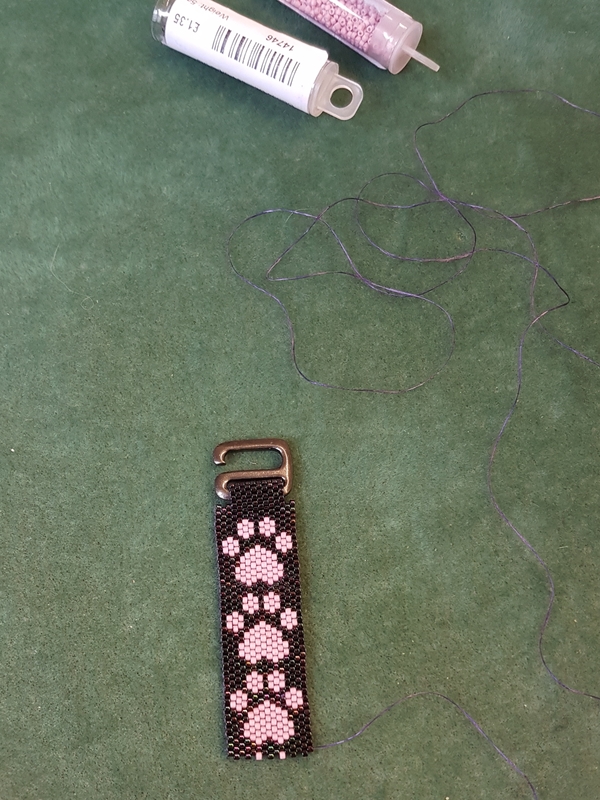 purchased the pattern for this lovely paw print bracelet. I haven’t started it yet but will soon:) Whoop! My first video post! See the disco beads that I made at the make and take session at the Bead Shop! 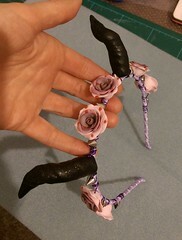 At the weekend I attended a fabulous workshop led by Chloe Menage of Pinkhot Jewellery. 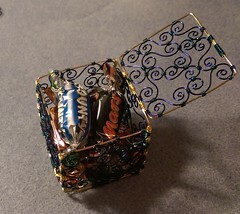 I first met Chloe when she was working at the Bead Shop in Nottingham. 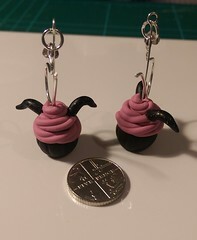 Chloe was setting up a new weekly Bead Group and I thought this would be an excellent way to meet and hang out with new beady friends. Oh my was I right:) I still go to the Bead Group today. The weekend’s workshop was to mark Chloe’s 10th beading anniversary – when she started working at the Bead Shop in Nottingham. It was a make and take session and Chloe was teaching us how to make her disco beads. It was great fun to make the beads, chatter and drink tea with fellow beaders and of course catch up with Chloe. Now I just have to make these lovely disco beads into earrings. I’ve spent the last few days trying to find the right theme for this blog. Each time I tried a new one, I tweaked the look, I increased one font size, reduced another, changed font type, added widgets, removed footers. I just couldn’t get it right. WordPress sent me a notification – blog is getting a lot of traffic. Umm nope, not really, that’s just me checking it out!